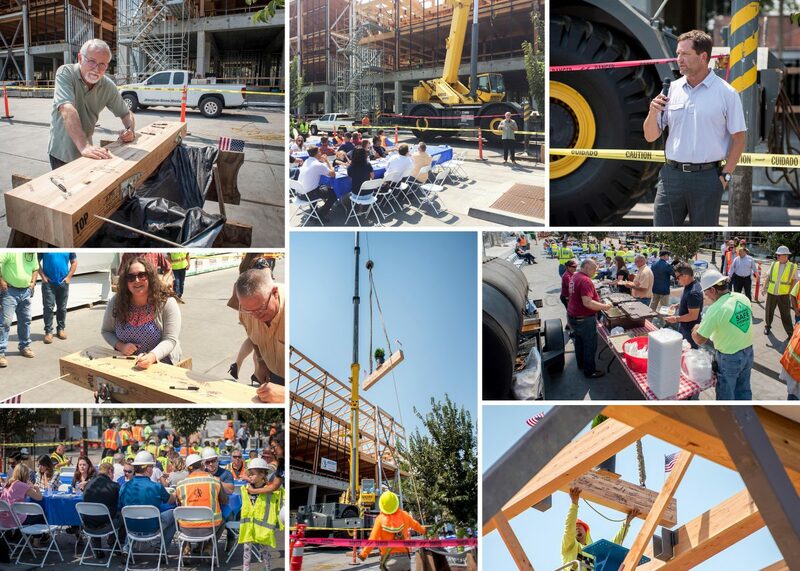 While Northern California paused to view the eclipse, Principal, Steve Guest and the Ice Block 1 design team celebrated the Topping Out of the engineered wood framed project. During his remarks, Steve spoke of the building’s physical timber connections in parallel to Midtown Sacramento’s past and present. He also spoke of the project’s connections to the community and the connections with our collaborative client – Heller Pacific and General Contractors – Ascent Builders, throughout the design and construction processes.